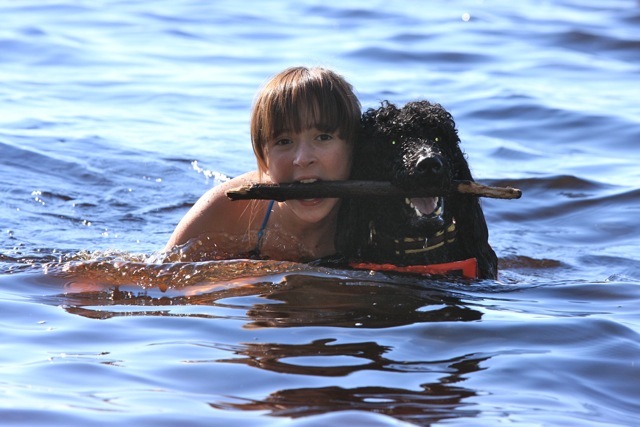 Chris L'Abbe sent me this photo of her daughter Abby and dog Murray--Abby has the right idea of what to do to combat this current heat wave! 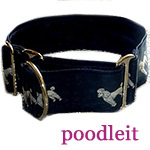 Remember, our Poodles were originally developed to be water retrievers! Most love the water, whether they are out on a cruise or taking a swim! 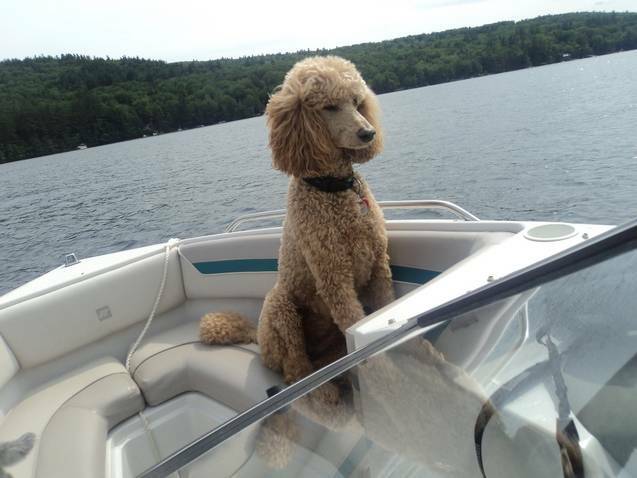 Thanks so much to Rick Miles for this photo of Sunny, owned and loved by Ann Burchill of Upton MA.